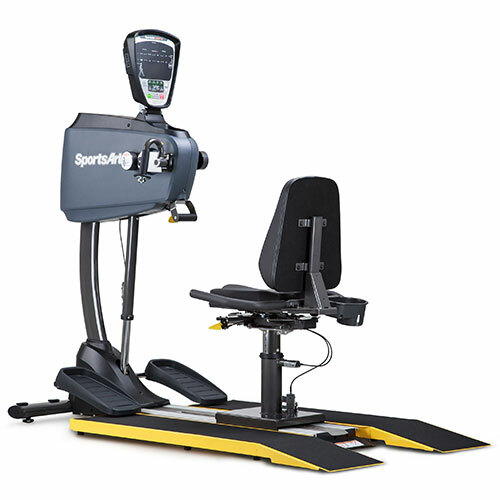 SportsArt is an industry leader in rehabilitative equipment manufacturing and the UB521M Upper Body Ergometer is a therapist’s favorite modality for seated, standing or users needing wheelchair access. Bi-directional resistance for varied exercise and therapy sessions. Hand crank position rotates 180° for opposing or in-unison arm motion. Roll away seat carriage for wheelchair patients and optional wheelchair platform. Adjustable ROM radius with 4 settings at 6.5, 7.5 8.5 and 9.5 inches (16.5, 19, 21.5, 24 cm). Belt drive offers quiet, smooth operation with seamless transition between forward and reverse motion. 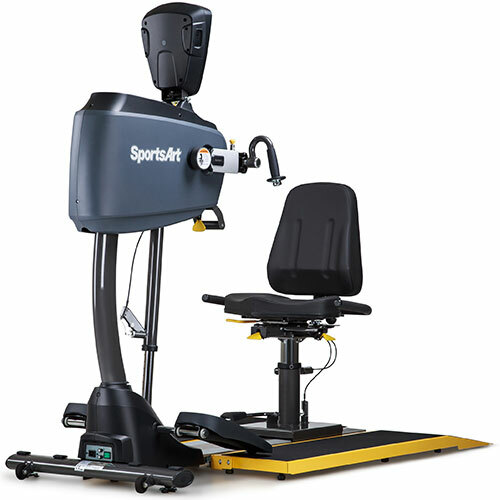 Tilting console and pivoting display offer customized fit for most users in seated or standing position.